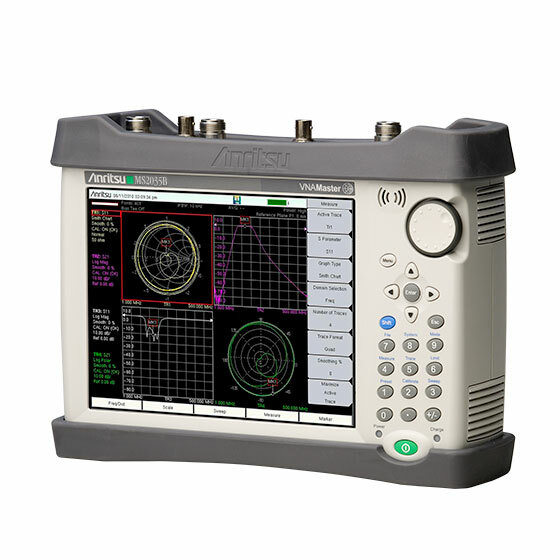 VNA Master, now with standard distance domain (requires firmware version 1.20 or greater), also serves in new high technology applications such as a novel application is the age-old problem of fault location in aircraft and shipboard wire cable bundles that snake through bulkheads and compartments. The MS2035B VNA Master + Spectrum Analyzer adds a powerful spectrum diagnostic capability in the field to the already powerful VNA Master! 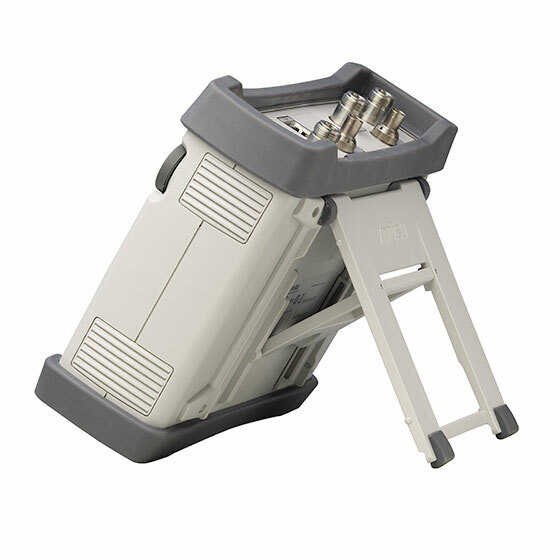 Don’t let the small footprint fool you; this combined instrument powerhouse offers performance and features that rival bench-top alternatives for simplifying spectrum monitoring, interference analysis, and other general purpose signal measurements in the field. This combined spectrum analyzer offers significant new features such as an internal routine which optimizes sweeps at the fastest possible speed for the most accurate data displays. 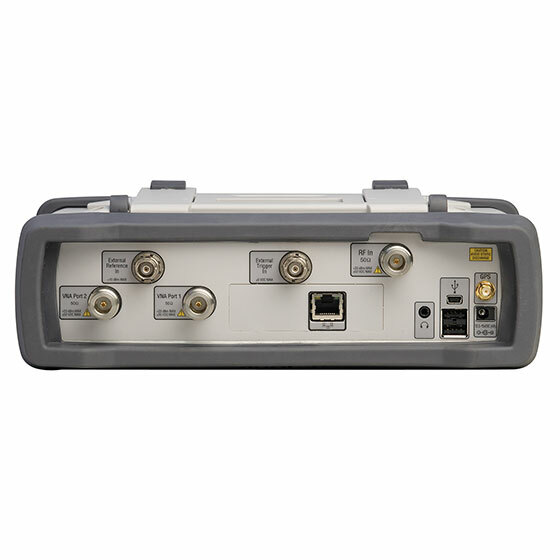 It also offers broad spectrum analysis frequency coverage, impressive dynamic range, and excellent phase noise performance from 9 kHz to 6 GHz. The VNA Master + Spectrum Analysis includes many standard measurement sequences, including field strength, occupied bandwidth, channel power, adjacent channel power ratio, and carrier to interference (C/I) ratio. In addition, the built-in AM/FM/SSB demodulator allows users to listen to the signal which simplifies the task of identifying interfering signals. Option 0509, AM/FM/PM Demodulation Analysis, provides powerful computation functions for displaying RF modulation spectrum and audio characterizations. Option 0025, Interference Analyzer simplifies the task of locating troublesome interferers. 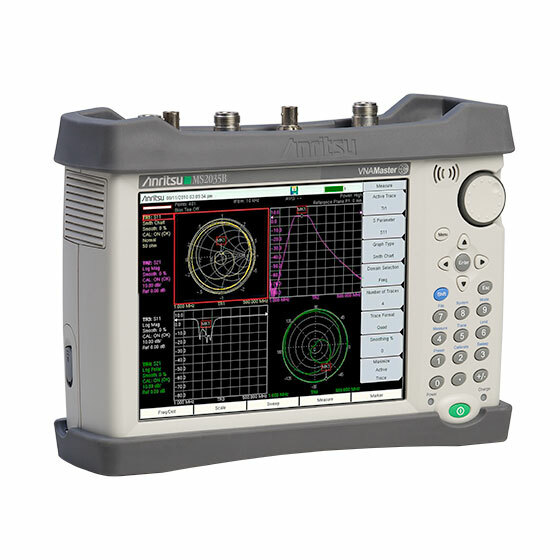 Overall, the VNA Master + Spectrum Analyzer is a powerful handheld tool for general purpose spectrum analysis anywhere, anytime.